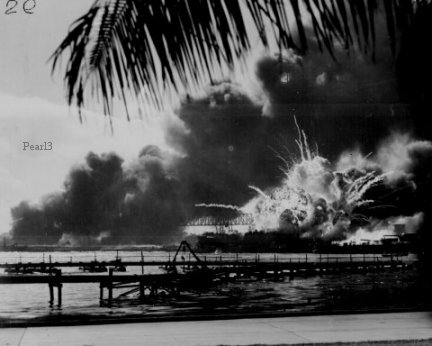 "Taken by surprise, during the Japanese aerial attack. 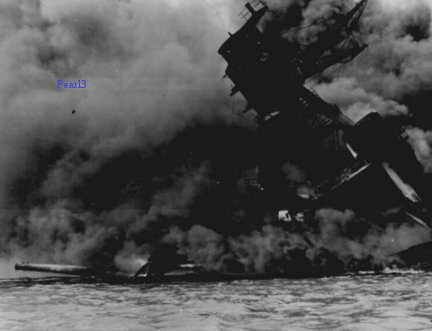 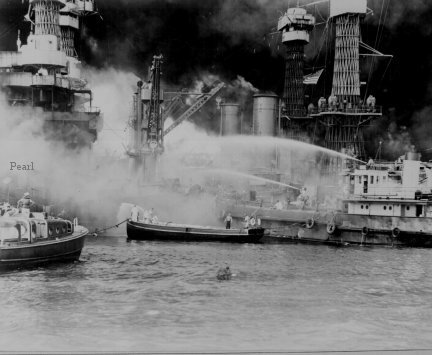 "The USS ARIZONA burning after the Japanese attack on Pearl Harbor"
they have their hands tied behind their backs. 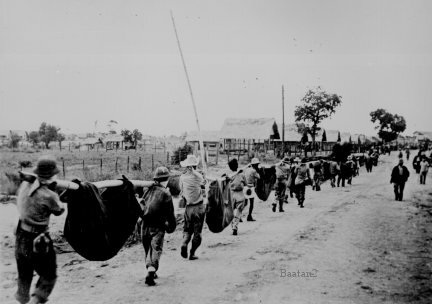 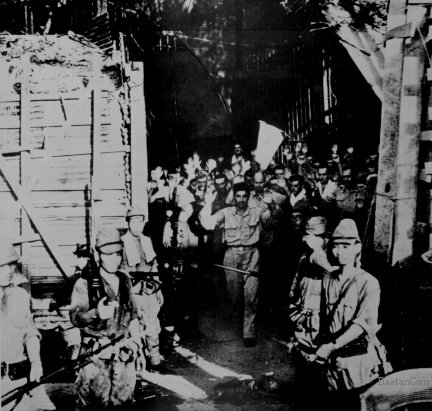 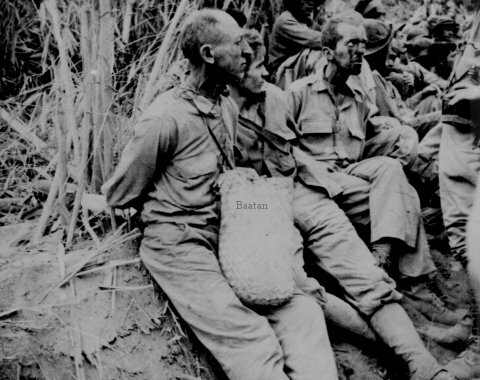 from Bataan to Cabanatuan, the prison camp."